Are Bitcoins and cryptocurrencies suitable for my retirement portfolio? What exactly are Bitcoins and cryptocurrencies, and how do they add value? 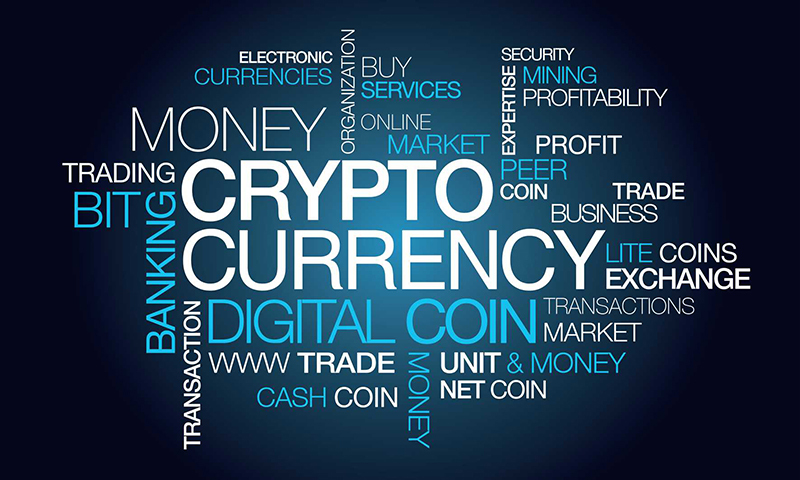 Cryptocurrencies are a digital medium of exchange. Each cryptocurrency is essentially a computer network with its own protocols, and each “coin” is a unique string of code representing an owner’s store of value. Transactions occur when users use this unique code to exchange for goods, services or to convert back to fiat, or traditional currency, via a blockchain, which is essentially a virtual ledger that instantaneously creates debits, credits, checks and balances over the network. Basically, blockchains and cryptocurrencies perform the same role that banks do when processing payments; only much faster and with less transaction costs. Also, fraud is basically impossible as each transaction via the blockchain creates a unique piece of code, which cannot be replicated. The technology allows individuals to circumvent banks and traditional financial intermediaries to transact directly with one another. Wait… So I shouldn’t invest in Bitcoin? The paradox is just that. You shouldn’t be thinking of cryptocurrencies in terms of an investment to make money in the short term, but as a tool that will make day-to-day transactions much easier and cheaper in the future, the way Microsoft changed the office and Amazon changed retail. It’s an incredibly important technology that you should pay attention to. However, if you are speculative in nature and have a “fat” trading finger, just remember that it took Microsoft 17 years to recover from its 1999 highs and Amazon 10 years, so waiting for a large downturn in price would be wise, unless you can live with losing 35% of your investment on a Friday afternoon. Buy low, sell high. Are there alternatives to Bitcoin? Yes, quite a few. Most cryptocurrencies are in finite supply, hence the incentive to create new networks for the purpose of solving different problems or undertaking different types of transactions. The most mainstream Bitcoin competitor in probably Etherium, which processes transactions a lot faster over its network, and is more than just a currency but provides a platform to create and negotiate virtual contracts, among numerous other benefits (this stuff can get quite complex). There is even a project to create a fully digital bank, where crypto loans will be issued and participants will be able to invest in these loans, called “tokens” like one would a bond. You can participate in new cryptocurrency ventures via initial coin offerings (ICOs) similar to how you initially buy shares in a company via an IPO. You can buy cryptocurrencies via digital exchanges. Also, bitcoin futures will begin trading via CME Group towards the end of the year, which is quite an exciting prospect as it will give investors access to the currency via traditional money management and trading platforms. What are the biggest dangers/threats to this space? Contact us for our views and research on cryptocurrencies, traditional and other alternative investments. Sven Roering is a Managing Partner at Tenzing Pacific Investment Management. He holds an Economics Degree from Rhodes University in South Africa, and is a candidate in the Chartered Financial Analyst (CFA) program, having successfully completed level 1 and is currently working towards the level 2 exam.